Call Berry Patch LLC... A full florist and gift shop that carries a vast selection of home decor, unique gifts, children & baby items, spa line and so much more! Our floral services range from a $30 fresh cut bouquets to funeral work and all bouquets and flowers for weddings. We also have grapevine wreaths and silk floral arrangements for all seasons and all reasons... for your home, office, cemetery or funeral. We also offer assorted house plants for Birthdays, Get Well Soon, Congratulations or With Sympathy.... We can do single potted plants all the way up to European Garden Baskets of mixed green & blooming plants and flowers. 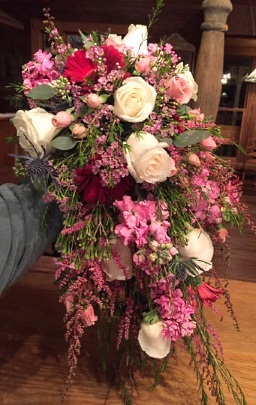 We're a local Columbia, Mississippi florist with a lovely variety of fresh flowers and creative gift ideas to suit any style or budget. It is our pleasure to assist you with any local, as well as worldwide deliveries and remember that corporate accounts are always welcome. For your convenience, we offer daily floral delivery to local funeral homes and hospitals. We hope you enjoy your online shopping experience with secure 24-hour ordering right at your fingertips. If preferred, you may call us to place orders direct at (601) 522-2946. Gourmet Foods are One of our Best Sellers... We offer Savoy Crackers, large selection of Cpt Rodney's, Gourmet Candy, MS Chesse Straws, and so much more to choose from!! We have our own Berry Patch Spa Line with everything from sugar scrubs, Shea butter, shower gel, candles, soaps and lotions! Choose from our large line of Inspirational & Devotional products, Sympathy items and a variety of Jewelry that would make great gifts. Call us at (601) 522-2946 to schedule a consultation. We would love to help you start planning flowers for your dream wedding or any special event – large or small. Our talented designers create bouquets, flower arrangements and on-site decorating with each client's individual style and budget in mind. 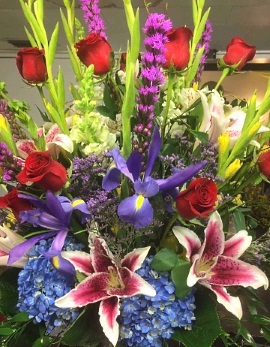 Thank you for visiting our website with flowers delivered fresh from your local Columbia, MS flower shop, Berry Patch, LLC!